Collection | K-ARTS Művészeti és Rendezvényszervező Kft. Besides supporting music, dance, films and theatre projects, KÉSZ Group has several years of experience in promoting fine arts. Our company group in Hungarian ownership, engaged in real estate development and operation, construction and manufacturing, as well as service provision, has a long-term sponsoring program in place, in the framework of which it maintains and fosters a collection of contemporary works of fine art. Our aim is to introduce and promote the works of art forming parts of our collection as widely as possible. 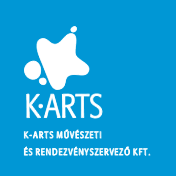 K-ARTS supports first of all Hungarian artists, and facilitates the value creating process. With this in mind we started our international metal arts and fine arts creative workshop in 2004, which is organized every summer in KÉSZ Industrial Park. Due to several years of successful operation of this creative workshop, KÉSZ has been able to build up a contemporary collection of fine arts. Over the years the statues and sculptures have been supplemented with photographs and paintings. Besides young and talented artists, the works of experienced prize-winning creators are also included in the collection. Our aim is to develop our K-ARTS KÉSZ Art Collection into a recognized corporate private collection. We believe that by creating this collection we can help talented and dedicated contemporary artists to become more widely known, and we can also promote value preservation and raise awareness. KÉSZ Industrial Park in Kecskemét has been partly changed into an open-air exhibition area, and in the beautiful garden of Hotel Four Points by Sheraton****, which is one of KÉSZ Group's real estate development projects situated right next to the industrial park, we have set up a statue park and exhibition open to visitors free of charge, to the enjoyment of those who care about art, also contributing a little to town marketing.